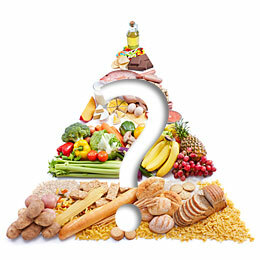 Home » Ask The Trainer Blog » Nutrition » The Food Pyramid… Scheme? 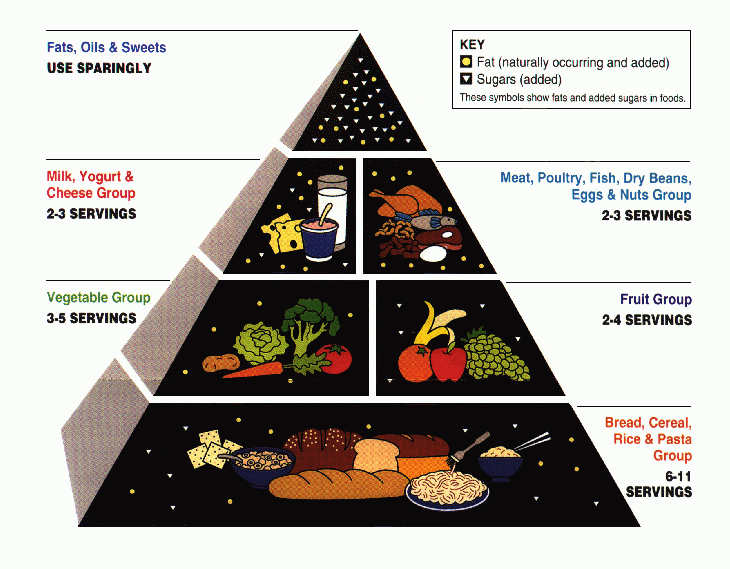 The food pyramid was introduced by the USDA in 1992, revised in 2005, and replaced in 2011. Nearly all public schools (99 percent), between the grades of Kindergarten through Eighth grade, offer nutrition education somewhere within the curriculum.1 If you have ever been exposed to this pyramid, then you are part of the 99 percent. Of course, whether you decided to follow its’ guidelines or be a nutrition rebel at the time is a completely different argument. These recommended serving sizes are for an approximate 2500 calorie diet. The serving sizes decrease between each group starting from the grains group to the fats, oils, and sweets; hence, the formation of the pyramid. Another problem is the fact that not all foods are created equally—even if they happen to be in the same food group. Take a look at the grains group. It is recommended to consume 6-11 servings of grains and one serving is defined as one slice of bread. If someone were to consume 11 slices of white bread in one day, would it be the same as if someone else consumed 11 slices of 100% whole grain bread? Fun fact! If you thought that whole wheat bread was a healthy alternative to traditional white bread you may need to sit down for this. What comes as a surprise to many is the fact that there is no significant difference between the glycemic index of white bread and whole wheat bread. Whole wheat bread was found to have a glycemic index of about 71. This example was for the grains group, but similar problems exist for other food groups as well. The pyramid was also criticized for its lack of clarity. The minimum and maximum limits for servings vary greatly. Going back to the bread example, what does 6-11 servings mean? It is easy to see that six servings and eleven servings from the grains group have a difference of around 500 calories (given a slice of bread is equal to 100 calories). 500 calories may not seem like a lot, but that is already 20% of the recommended daily intake. 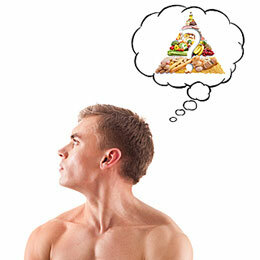 With the progression of nutrition research, the food pyramid was retired after 19 years and replaced with MyPlate. The New Food Pyramid is a Plate? People that grew up learning about the pyramid remember it and believe it to be true. This should be expected because if you shop for groceries once or twice a week and see pyramids printed on packaging for 19 years you will most likely come to accept it—if not through true belief then subconscious brainwashing. MyPlate was released by the USDA in 2011 and is the most recent nutritional icon used to help consumers think about what a healthy plate should look like during each meal in order to promote healthier food choices. The plate is divided into five sections: 30% vegetables, 20% fruits, 30% grains, 20% protein, and a small portion of dairy on the side. We live in a very fast-paced society where nobody has time for anything, so MyPlate is the perfect way to make sure you and those you care about are consuming the right quantity of each food group without taking up too much time. All you have to do is simply look at the dish: Half of the plate contains fruits and vegetables? Check. Other half of the plate contains grains and proteins? Check. Finally, throw in a small yogurt or other dairy product of choice and you’re done. If you want some more information about MyPlate, feel free to visit ChooseMyPlate.gov. They also have a lot of other free resources used for dietary assessment and nutrition education as well. 1. Celebuski C, Farris E. Nutrition Education in Public Elementary and Secondary Schools. Washington, DC: U.S. Department of Education, National Center for Education Statistics; 1996. [June 17, 2013]. http://nces.ed.gov/pubs/96852.pdf. 3. Ogden CL, Carroll MD, Kit BK, Flegal KM. Prevalence of Childhood and Adult Obesity in the United States, 2011-2012. JAMA.2014;311(8):806-814. doi:10.1001/jama.2014.732. 4. Hu, FB; Manson, JE; Willett, WC (2001). 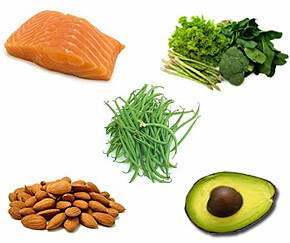 “Types of dietary fat and risk of coronary heart disease: A critical review”. Journal of the American College of Nutrition 20 (1): 5–19. doi:10.1080/07315724.2001.10719008. 5. Pelkman CL, Fishell VK, Maddox DH, Pearson TA, Mauger DT, and Kris-Etherton PM.“Effects of moderate-fat (from monounsaturated fat) and low-fat weight-loss diets on the serum lipid profile in overweight and obese men and women”. Am J Clin Nutr 79(2): 204–212.PMID 14749224. Retrieved 2011-04-18. 6. Venti, Carol (2002). “Modified Food Guide Pyramid for Lactovegetarians and Vegans”(PDF). 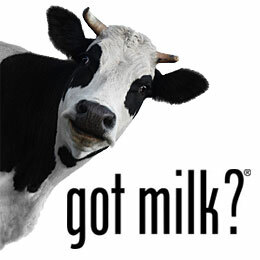 J Nutr 2002; (American Society for Nutritional Sciences) 132 (5): 1050–1054.PMID 11983836. Retrieved 2011-06-20. 7. Kuokkanen M, Kokkonen J, Enattah NS, Ylisaukko-Oja T, Komu H, Varilo T, Peltonen L, Savilahti E, Järvelä I: Mutations in the translated region of the lactase gene (LCT) underlie congenital lactase deficiency. Am J Hum Genet 2006, 78:339-344. Joanna graduated with a B.S. 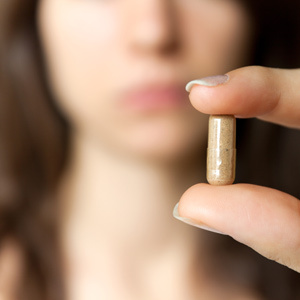 in Nutrition – Biochemistry from the University of California, Davis. She has worked on research studies at several laboratories including the UCD Medical Center research building, the UCD Center for Neuroscience, and the Western Human Nutrition Research Center, one of the six USDA-funded human nutrition centers in the country.